Springtime is here...and with it comes upgrades to your home. Are you planning to remodel a bathroom or kitchen? Maybe an addition or a new pool are in your plans. Could it be something smaller like plumbing repairs or new electrical work? If you're paying a professional to do it, take my advice; ask for proof of insurance. No matter the size of the job, bad things can happen; from paint spills on your carpet, to poor electrical wiring that causes a major fire. Your homeowners insurance policy may provide the coverage for these losses, but shouldn't the party responsible for the damage make things right? This is why you should ask anyone doing work at your home for insurance documentation. This would include the insurance company,policy number, the limits of coverage, and the effective dates. There should also be contact information for the insurance agency that provides the policy. The most common forms of proof are the insurance declarations page, and a certificate of insurance. No matter what is provided, I highly recommend you contact the agent to confirm coverage is still in force. Any reputable contractor should be able to provide that information pretty quickly. I advise the contractors we insure to tell customers right up front that they are insured. It's a competitive edge. 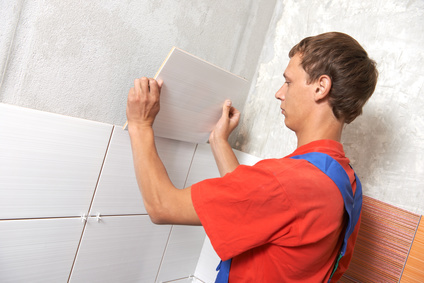 Wouldn't you rather do business with a contractor you know is insured? In fact, you might be willing to pay a little bit more knowing they are acting responsibly. Also, be aware of your municipalities requirements. Does your city require contractors to be licensed and even bonded? If so, make sure your home improvement professional has done so by contacting the building department and confirming it. Finally, make sure your contractor pulls the required permits for your project. I know there are some that will disagree with me, but it's the best way to confirm any and all work meets the required building codes. A great deal of time, planning, and money goes into your home improvement projects. Make sure you've done everything possible to protect your most valuable asset. Don't know who to call? Then start with us. We can give you the names of contractors insured through our agency. We'd be happy to help!